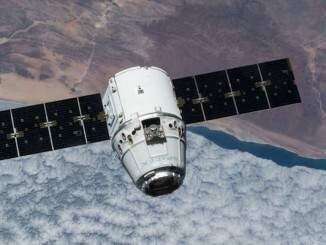 The Defense Meteorological Satellite Program Flight 19, or DMSP F19, spacecraft stopped responding to commands from mission control Feb. 11, and engineers have concluded that a power anomaly inside the satellite is responsible for the weather observatory’s failure. Ground controllers have ceased all recovery efforts with the DMSP F19 satellite, according to Jennifer Thibault, a spokesperson for the Air Force’s 50th Space Wing at Schriever Air Force Base, Colorado. 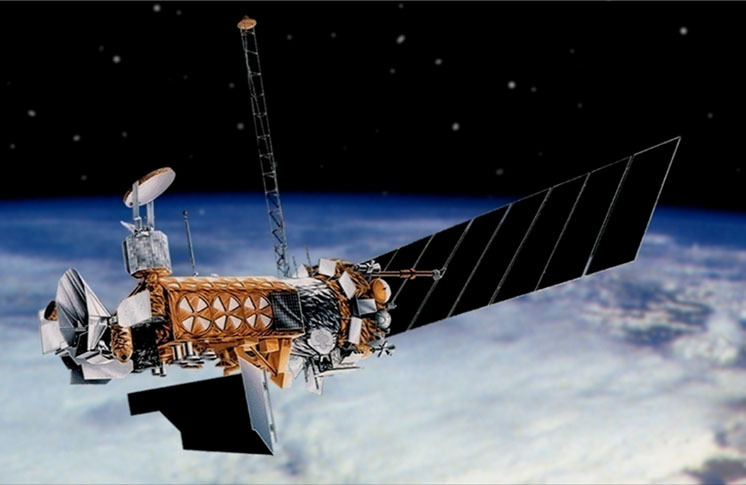 The DMSP F19 was the latest in a series of polar-orbiting weather satellites jointly operated by the Air Force and NOAA. The DMSP weather observatories help forecasters predict storms, clouds, fog and dust storms that could inhibit global military operations. The Air Force reassigned the DMSP F17 satellite launched in 2006 into the primary position in the fleet after DMSP F19’s failure in February. 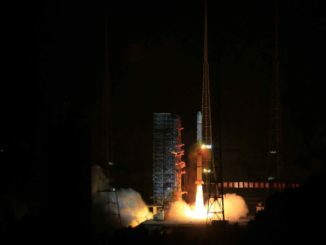 DMSP 19 continues to broadcast telemetry to the ground, officials said, but the satellite’s command system mishap is irreversible, affecting both the prime and backup command chains. DMSP F19 launched April 3, 2014, atop a United Launch Alliance Atlas 5 rocket from Vandenberg Air Force Base, California. Designed for a five-year mission, the satellite was manufactured by Lockheed Martin in the late 1990s and kept in storage until engineers readied it for liftoff. With the loss of DMSP F19, five DMSP weather satellites left in in the Air Force’s constellation, all well beyond their design lifetimes. One more legacy DMSP satellite is built and could be launched to replace DMSP F19. 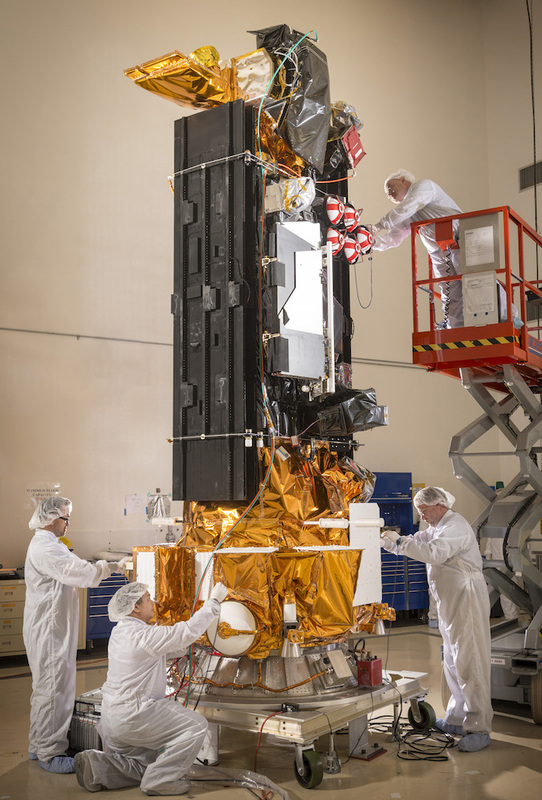 Congress last year ordered the DMSP program terminated and the DMSP F20 satellite scrapped, directing the Air Force to move on to a next-generation weather satellite design to replace the DMSP series, which has been launching since the 1970s. 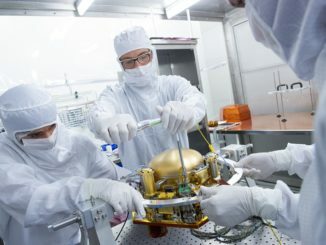 But the Air Force intends to keep DMSP F20 in climate-controlled storage at a Lockheed Martin clean room in Sunnyvale, California, a bit longer in case it needs to be called up for launch in the coming years.